Learn about stones — their color, price, and more. Browse through our list of precious, semi-precious, and lab-created stones and learn about their value for jewelry. Although adamite occurs in many localities, it’s very rarely cut as a gem. 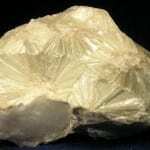 This mineral is much too soft and fragile for jewelry. However, collectors prize its intense fluorescence. 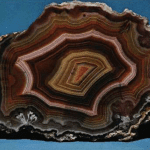 Agate is a variety of chalcedony that exists in many colors and is often commercially dyed. Agate is distinguished by having multiple colors. While not usually as rich as our crystalline gems, the colors can be quite vivid. Agates are sometimes opaque, but they are frequently translucent, and occasionally completely transparent. 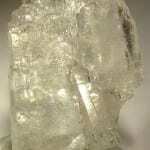 Albite, usually colorless but sometimes yellow, pink, gray or reddish. 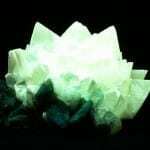 Translucent albite is sometime colored green by chrome jadeite. 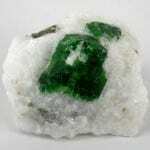 It is also a component of trachipe emeralds. “Emerald by day, ruby by night,” alexandrite is well known for displaying one of the most remarkable color changes in the gem world — green in sunlight and red in incandescent light. 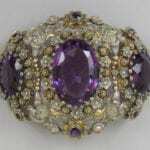 However, the modern June birthstone is so rare and expensive few people have seen a natural alexandrite. 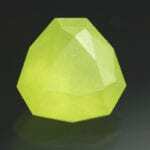 This variety of gem-quality chrysoberyl makes an excellent jewelry stone. 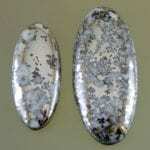 Bright, silvery metallic cabochons of algodonite and domeykite are attractive and unusual. Faceted pieces are rarely seen but very beautiful when polished to a high luster. 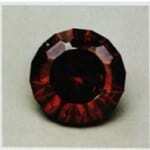 Almandine is perhaps the most common garnet species. Forming series with pyrope and spessartine garnets, these gems occur in the deep brownish or purplish reds most often associated with garnets. They make affordable and durable jewelry stones. Amber is classed in various types: sea amber (found in the sea), pit amber (dug up, especially from the Baltic area), clear, massive, fancy, cloudy, frothy, fatty, and bone amber. 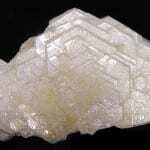 Amblygonite gems are usually pale straw yellow. 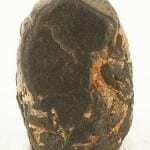 Although they are too soft and cleavable to make good ring stones, collectors prize them if they show darker colors. 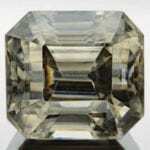 Large faceted stones are extremely rare. Amethyst is crystalline quartz in colors ranging from pale lilac to deep reddish purple. 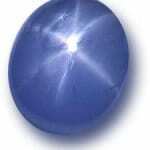 The February birthstone makes a fine, durable gemstone for all purposes, from jewelry to carved objects. Ametrine is a variety of quartz that displays bands of both amethyst purple and citrine yellow. These gems are typically cut to showcase their dramatic color zoning. Large colorless crystals of Analcime are a great rarity although small transparent crystals are abundant. 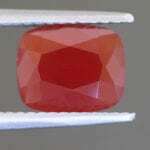 Faceted gems are extremely rare and seldom seen even in large collections. The hardness is marginal for wear, but the mineral has no cleavage and should present no difficulties in cutting. Anatase occurs in many beautiful colors, such as deep indigo and amber yellow. However, these rare gems are seldom transparent and are usually found as very small crystals. They’re hardly ever faceted, except as curiosities for gem collections. Strongly pleochroic, andalusite can show shades of green, brown, and red when viewed from different directions. Although tough enough for most jewelry uses, this strikingly beautiful stone is largely unknown to the gem buying public. These feldspars are rarely encountered in gem form. Andesine’s occurrence is widespread throughout the world, in a great variety of rock types and environments, but in most cases transparent crystals are rare. 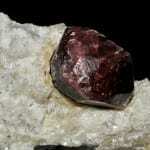 Andradite is one of the most sought after garnet species. 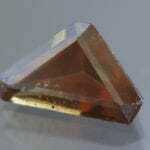 Although more sources have been discovered in recent decades, gem-quality andradites remain rare. Although anglesites with pale colors can show great dispersion and brightness, they’re difficult to cut and inadvisable to wear. Faceted pieces are true rarities, seldom seen except in very complete gem collections. 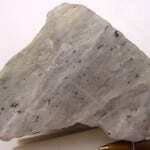 Rare and difficult to cut, anhydrite is seldom faceted. However, this material can be carved into beautiful objects. 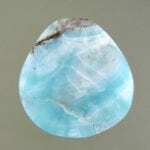 “Angelite,” a blue-gray variety, has become a popular choice for cabochons. 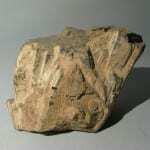 Anorthite is the most calcic of the plagioclases, and sometimes makes up a distinctive rock known as anorthosite, which has been extensively studied. Although not suitable for jewelry, apophyllite is a popular collector’s piece. 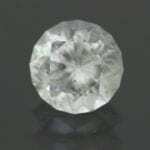 Perhaps the whitest of all gems, cut, colorless specimens are so devoid of color they can appear almost silvery. Aragonite is more commonly found as a constituent of pearl and shell nacre than as a crystal suitable for gem cutting. 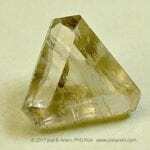 Too soft for most jewelry use, a faceted aragonite would be a true collector’s item. Soft and brittle, rare augelites are difficult to cut and unsuitable for wear. Faceted transparent pieces are only found in very complete gem and mineral collections. 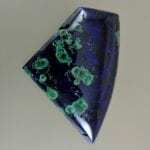 Collectors prize deep blue azurite crystals, but faceted gems are extremely rare. 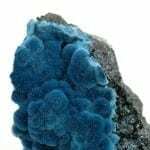 However, azurite frequently occurs mixed with green malachite, and this material is commonly used for cabochons and decorative objects. With dispersion higher than diamond and sapphire blue body color, benitoite is one of the most attractive of all rare gems. Gem-quality crystals have been found only in San Benito County, California. Extremely rare as a cut gem, even in very complete collections. Many of the minerals in the tantalite group have been faceted; bismutotantalite is perhaps the rarest of them all. The color is attractive, but low hardness and good cleavage make use in jewelry unadvisable. Also known as heliotrope, bloodstone is the traditional March birthstone. This dark green, opaque chalcedony with red to orange spots is a variety of plasma gemstone. Cut boleite is strictly for collectors, since it is soft and very rare. 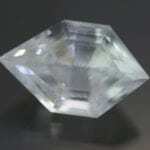 Faceted gems of any transparency should be considered among the rarest of all gemstones. The color is so attractive that any available stones would be quickly snapped up by collectors. 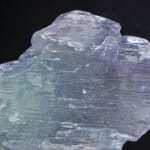 With light blue and green colors, no cleavage, and high hardness, boracite is an uncommon mineral. 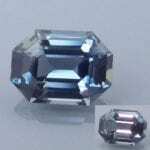 Unfortunately for jewelry lovers, faceted boracites are very rare. 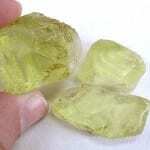 Brazilianite’s lovely green to yellow colors make it a must for gem collectors. Large faceted stones are often flawed, but smaller cut gems can make beautiful jewelry pieces. Brookite usually occurs in very dark colors, transparent only in small fragments. Cuttable crystals are exceedingly rare, making attractive faceted gems prized collector’s items. Brucites are extremely difficult to cut. 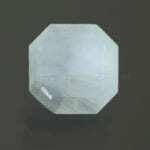 Although too soft for jewelry use, faceted pieces would be great additions to collections of rare gemstones. Several species of marine mollusks produce stony growths called calcareous concretions. 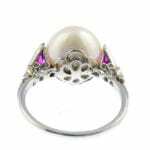 The most commonly encountered in jewelry are conch pearls from the Queen conch, tridacna pearls from the giant clam, and melo pearls from the bailer shell snail. Cancrinite is one of the most attractive of all opaque or translucent gem materials. It is a bit too soft for average wear, but its distinctive color is worthy of jewelry. Cancrinite may be tricky to cut because it often contains numerous hard inclusions. Faceted gems even as small as 1 carat are considered great rarities. 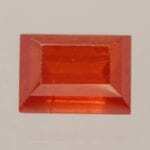 The best-known and generally least expensive variety of chalcedony is carnelian. It ranges in color from yellow-orange to rich, near reddish orange, to orangey brown, and varies from semi-opaque to highly translucent. Cassiterite is a durable gemstone with tremendous dispersive fire, especially visible in properly cut pale-colored stones. 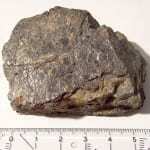 As the principal ore of tin, it’s also a common mineral. Unfortunately, facetable rough is very scarce. Soft, fragile, and hard to cut, celestite or celestine is seldom seen in collections. These gems are usually colorless or pale blue, but rare orange, green, yellow, and red shades have also been found. 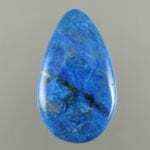 A little-known gem material of truly exquisite color, sky-blue ceruleite takes a very high polish easily and quickly. However, fine, solid, cuttable pieces are extremely rare. As beautiful as a diamond, a faceted cerussite actually has higher dispersion and usually excellent transparency, colorless or light body color, and an adamantine luster. However, this gem is notoriously difficult to cut and too soft for jewelry use. 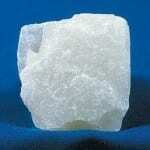 Although faceting chabazite isn’t too difficult, it’s too soft for jewelry. 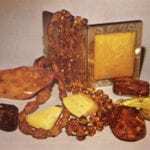 However, only a handful of cut chabazites may exist because facetable material is extremely scarce. 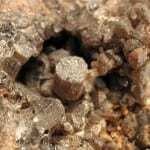 Chambersite is an exceedingly rare mineral. 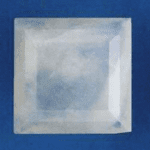 Although it has properties suitable for jewelry use, its crystals occur in very small sizes. Few cut specimens of this colorless, brownish, or purple stone exist. One of the most prized ornamental materials in China, chicken-blood stone has been used for centuries to create carvings with characteristic red markings. However, its physical properties can vary considerably. 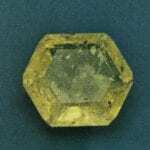 Cut childrenite is a great rarity, and all gems are small. 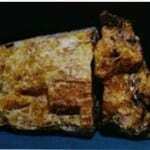 Cut eosphorite is more abundantly available, though both materials are very scarce. 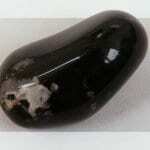 Chromite is shiny and black, and makes a curious-looking cabochon with no special attraction. 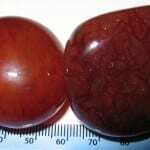 Occasionally, a cabochon has a reddish color. The stones have little value because the material is extremely abundant but are cut as curiosities only. Although many gems show a cat’s eye effect, when the term “cat’s eye” is used alone, it always refers to the rare gemstone chrysoberyl. Chatoyant chrysoberyls can be cabbed to display their spectacular eyes, while non-chatoyant specimens can make wonderful faceted stones. Pure blue chrysocolla is extremely soft but interesting to gem collectors. On the other hand, chrysocolla that forms as gel mixed with silica and hardens into a blue to blue-green chrysocolla chalcedony is quite hard and a popular jewelry stone. 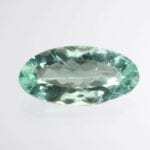 Marketed as “Gem Silica” this relatively rare, blue to blue-green, opaque to near transparent material is the most expensive type of chalcedony. 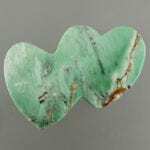 Chrysoprase is apple-green chalcedony that derives its color from nickel. Its hardness and striking color make it a popular gemstone for jewelry as well as carvings. 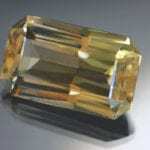 Citrine is the yellow to red-orange variety of crystalline quartz. Clever marketing and the rise of “earth tone” fashions have made this durable and readily available gem a popular jewelry stone in recent years. 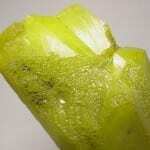 Clinochlore is a family of minerals in the chlorite group. To date, only kämmerite and sheridanite varieties are known to have been cut as gemstones. Cabochons are interesting because of the lovely reddish metallic appearance of this mineral. 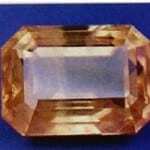 Cut stones are infrequently seen and are cut only as a curiosity by the collector who wants to have one of everything. Colemanite is an abundant mineral, and transparent material isn’t rare. However, gem cutters rarely facet these typically pale stones. Difficult to cut and wear, colemanites are better suited for collectors of unusual gemstones. 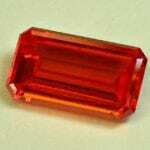 Color change garnets are mostly pyrope and spessartite in composition. Except for the color change, they are identical in properties to the Malaia variety. Their primary source is Africa. Coral is the axial skeleton of an animal called the coral polyp, a tiny (1 mm), almost plantlike animal that lives in warm oceans (13-16°C). The solid material we know as coral is the colony in which these tiny animals live. Coral is often branched and treelike. Although covellite has attractive blue colors and shows iridescence, this rare mineral is difficult to cut. You can scratch it with a fingernail! As cut gems, they’re strictly curiosities for collectors. Probably fewer than a dozen creedite gems have ever been faceted. 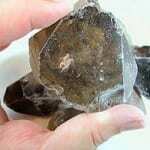 This rare mineral is rarer still as a cuttable crystal. Too soft to wear, this strictly collector’s gem occurs in attractive white, purple, and orange colors. 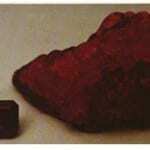 Lovely saffron-colored crocoite is quite a rare mineral. Although too soft and brittle for jewelry wear, a few crystals have been faceted for collectors. Cut cryolite is somewhat translucent, and has a “sleepy” look. The cuttable material has a very low birefringence, is colorless, and very soft—not exactly an exciting-looking gem. 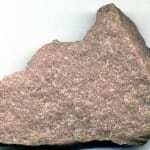 However, there are very few cut stones in existence because of the extreme scarcity of suitable rough. 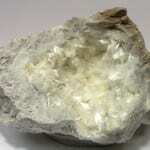 In addition, cryolite is only found abundantly at one locality (Ivigtut). 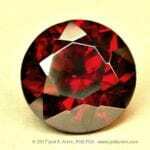 One of the rarest of all facetable gems, cut cuprites can show magnificent deep red color. However, these beautiful stones are too fragile for jewelry use. 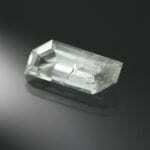 A very durable gemstone, danburite is an excellent choice for jewelry use. Although the mineral isn’t rare, large facetable pieces are scarce. 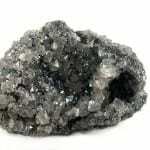 Datolite is a popular collector’s mineral. Polished sliced nodules can show off very attractive colors. Too soft for regular jewelry use, faceted and cabbed datolites are rare. 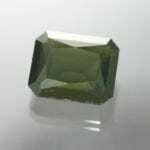 One of the rarest garnet varieties, demantoid can have a green color that rivals emerald and a fire that exceeds diamond. Demantoids are highly prized by both gem collectors and jewelry enthusiasts. 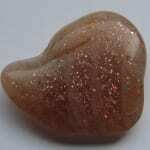 Diaspore is hard enough to make a durable jewelry stone, but the typical light brownish color is not easy to sell. Despite the large Turkish material, this is a very rare gemstone indeed. 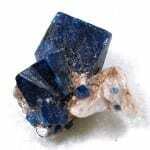 This mineral is seldom even mentioned in the gem literature because it is so rare and has been so seldom cut. Faceted gems are practically nonexistent, and would be among the rarest of all cut stones. Dioptase is abundant in mineral collections throughout the world and is not considered a great rarity, but faceted gems are extremely rare due to a paucity of clean fragments. Clean stones over 1 carat are virtually nonexistent, and few collections have stones at all. 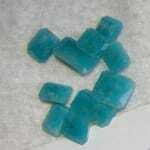 Cabochons are blue-green, translucent, and quite attractive but are much too soft for wear. 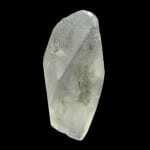 Although transparent dolomite crystals are fairly abundant and popular collector’s items, faceted gems are soft, fragile, and rarely seen in jewelry. However, massive material can be carved into decorative pieces. 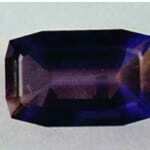 Dumortierite is a beautiful and very hard material, eminently suitable for jewelry. 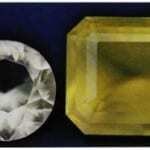 The cabochon material is the only generally known form, since faceted stones are so rare. 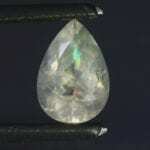 Fibrous inclusions have been noted in the transparent Brazilian stones. 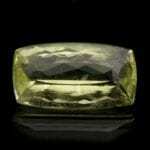 A relative newcomer to the world of gemstones, ekanite is rare and usually quite radioactive. When cabbed, some ekanites can display a star stone effect. 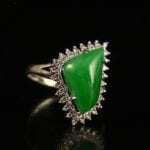 Since the time of Cleopatra, emeralds have epitomized the color of green gemstones. It would be easy to question this statement if all one had seen of emeralds were the commercial, (and poorer,) quality stones which abound on home shopping networks and in some jewelry stores. 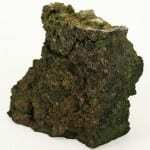 The epidote mineral supergroup contains many related species of interest to collectors. 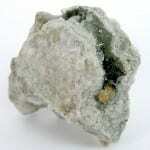 However, epidote itself is the one most likely to be faceted into beautiful, albeit small and dark, gemstones. 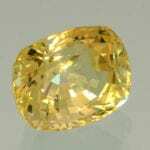 Ettringite is not generally facetable; any cut stone would be considered an extreme rarity. South African material has yielded minute stones, some of which may have been labeled sturmanite. 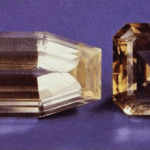 Although cabochons could be cut from massive eudialite or translucent crystals, transparent material suitable for faceting is elusive and always small. Euxenite is seldom seen in collections. Most collectors would not regard the mineral as facetable, but transparent fragments and areas of crystals have been noted that could cut small gems. Sometimes cabochons are cut by collectors, but these are not very striking. 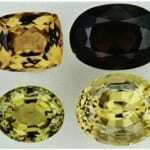 The colors of faceted stones would be too dark to make them appealing. 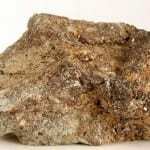 Feldspars are the most common minerals at the Earth’s surface. In fact, if the entire composition of the Earth’s crust were regarded as a single mineral, it would calculate out almost exactly as a feldspar. 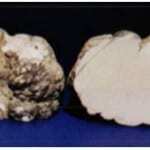 This mineral is not abundant and is known from various localities. Cabochons are cut merely as curiosities, as they have no special features that would recommend them except rarity. There are reports of transparent grains or parts of crystals that have been cut by collectors, but these are merely curiosities and are seldom encountered. Most people who have an interest in gemstones or nature have seen petrified wood, but fewer are aware of the many other types of fossilized organisms that can be fashioned into beautiful gems. The majority of pearls on the market today are cultured freshwater pearls. Like their marine cousins, many freshwater mussels of the mollusk order Unionoida can produce these organic gemstones. Today, this rarely occurs in nature. Cultured freshwater or river pearls are very popular and affordable jewelry stones, perfect for a loved one with a June birthday. This is not a terribly attractive gemstone, but faceted gems would be a tremendous rarity. The material is quite brittle, but there is no cleavage to cause problems in cutting. I do not know of the existence of a faceted gem at this writing. Garnet comes from the Latin word, granatus which means grain. 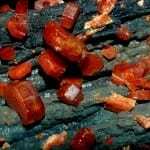 That is because many garnet deposits are small grains of red crystals in or on their host rock. 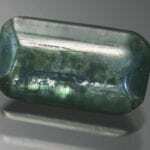 Glass has been used in jewelry for thousands of years. By itself, glass is brittle and unimpressive with very little color or brilliance. However, with additives, it can become more colorful, lively, and durable. 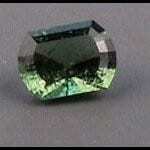 A rather rare mineral, lovely blue-green grandidierite is seldom seen in gem or jewelry collections. 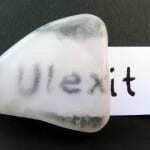 Translucent material is sometimes cut into cabochons. 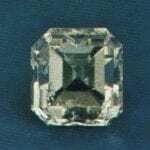 Faceted pieces are very rare, but recent discoveries of transparent material may bring more to the market. Grossular garnets come in almost every color, even colorless, except blue. 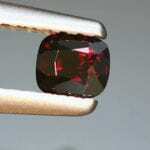 However, unlike other garnets, they’re rarely red or dark. Often light to medium in tone, they make brilliant, vibrant jewelry stones. 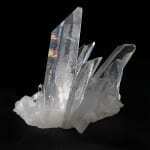 Gypsum is one of the most abundant minerals, but gem-quality crystals are very rare. 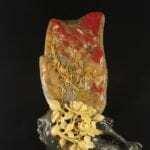 This material is extremely difficult to facet but very easy to carve into sculptures and decorative objects. 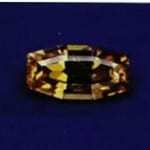 Although hard enough for jewelry use, rare hambergite is a gem for collectors of the unusual. Its combination of high birefringence and very low specific gravity makes it easy to identify. 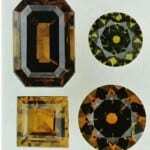 An overview on Heliodor Jewelry and Gemstones.Covers details and essential information on the physical properties and characteristics of Heliodor gemstones. 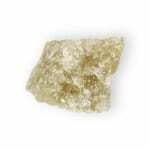 Herderite is a rare collector’s gem, especially in larger sizes. It’s too soft for wear but attractive when cut and can show a wide range of colors. 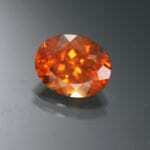 Also known as the “cinnamon stone,” hessonite is the yellow-orange to reddish orange variety of grossular garnet. Hessonites can make beautiful, inexpensive jewelry stones. Hodgkinsonite is one of the rarest of all collector gems. Cut stones are bright and richly colored, but the crystals were never abundant and still fewer had transparent areas. Fewer than 10 cut stones may exist. Howlite is always opaque in nodules; it is an abundant material and easy to acquire. Sometimes it contains black, threadlike impurities resembling the veining in turquoise. Howlite is frequently dyed blue to resemble turquoise, and it makes a most convincing simulant. The white material is relatively unexciting in appearance. 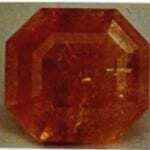 It should not be difficult to find numerous small faceted huebnerites among larger gemstone collections. Certainly ample material exists to cut a number of such gems, although they are rarely offered for sale. 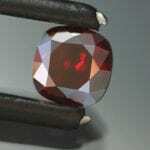 Hydrogrossular differs from the other garnets in that it is never transparent. It ranges from translucent to opaque. The most common color is a bluish green, but they are also found in pink, white, and gray. One of two distinct minerals commonly known as jade, jadeite is the rarer and harder variety. Rich emerald-green jadeite, known as “imperial jade,” is also the most highly valued. 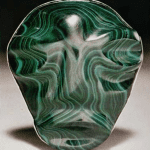 However, durable jadeite can be found in many colors and is well-suited for both intricate carvings and cabochons. 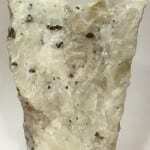 Jasper is an opaque, solid or patterned variety of cryptocrystalline quartz. All types of jasper take an excellent polish, are trouble free to care for, and hardy enough for all jewelry uses. 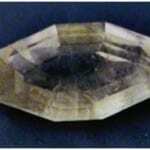 These stones are usually cabbed, sometimes carved, but seldom faceted. Jeremejevite would make a durable and attractive jewelry stone, but this rare mineral occurs even more rarely as facetable material. Recently, new sources have been discovered, but jeremejevite remains mainly a prized collector’s gem. 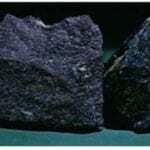 Historically a popular black gem, jet has declined in popularity in modern times. Although jet jewelry has been long associated with mourning, this organic gem can be made into large, eye-catching beads, carvings, and even faceted pieces. Kämmererite is a beautiful but rare mineral. It is micaceous; consequently, it is extraordinarily difficult to facet, which has severely limited the availability of cut gems. It would have to be handled with great care to avoid cleaving. A few clean, well-cut gems do Perfect basal cleavage; micaceous; laminae exist, nonetheless, a testimony to the perseverance of hobbyists! 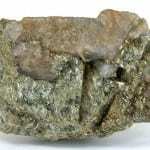 Kurnakovite is similar to inderite. 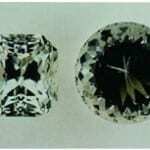 Both are colorless and very uninteresting as faceted gems, which is why very few have been cut. The material is obtainable in large size, but softness and cleavage make cutting a real chore. This material is nondescript and is cut solely as a curiosity. The gems are soft, pale colored, or colorless, with no fire. Few cut stones have been reported, but this may be due to a lack of interest rather than a lack of suitable rough. Lazulite makes a magnificent, deep blue gemstone. 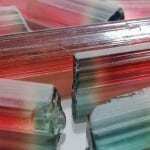 Although the mineral itself occurs widely, gem-quality rough is limited. Specimens are prized by collectors but can also be faceted with care or cut into cabochons for jewelry. Too soft for jewelry use, legrandite is a popular collector’s mineral because of its intense yellow color and aesthetic crystal groupings. Transparent, faceted gems are extremely rare. Reddish granular or massive lepidolite is usually slabbed for ornamental purposes, such as ashtrays paperweights, and bookends. 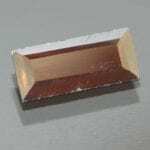 Faceted micas are virtually nonexistent because of the perfection of the cleavage and the variable hardness within crystals. Although abundant in various lava rocks, leucite is extremely rare in gem-quality form and often has a milky or cloudy look. Faceted stones as well as well-shaped crystals are prized by collectors. Gems of completely transparent magnesite are both rare and beautiful. The huge birefringence is obvious even in small stones, and larger gems have a sleepy look, or fuzziness, due to the doubling of back facets as seen through the table. Faceted magnesite is rarely seen, and the material is relatively difficult to cut. Facetable crystals come only from Brazil. 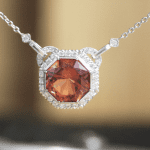 While the colors of spessartite garnet gemstones cover a wide range of orange shades, the mandarin garnet is as pure orange as this variety can be. 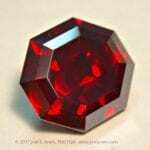 Manganotantalite makes a spectacular red brown gem that is a very rare collector’s item. 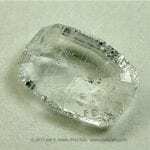 Transparent material is light enough in color to allow lots of light to enter and leave a cut gem, and properly cut stones are lively and brilliant. Cutting is difficult because of the cleavage. 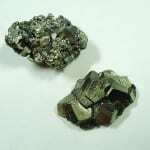 Marcasite has a long history of use as a decorative and jewelry material. However, this brassy colored, metallic stone is quite brittle and seldom seen in modern jewelry. Ranging in color from pale yellow to brown, reddish, and green, microlite cabochons are prized by collectors. Faceted gems are very beautiful but extremely rare. 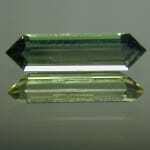 Very rare milarite crystals can occur in green and yellow colors. 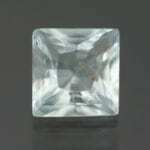 Transparent material can yield small but pleasant looking faceted gems for collectors. 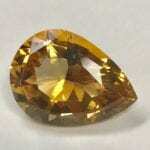 Millerite has a rich, attractive yellow color. Massive millerites can sometimes be cut into cabochons but are too soft for jewelry use. 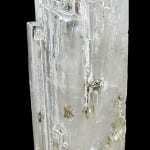 However, millerite crystals can also have a striking, hair-like appearance. 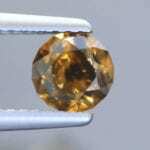 Faceted mimetite is one of the rarest of all gems since only one pocket of transparent crystals has ever been found (at Tsumeb), and few of these crystals have been cut. Orange and yellow cabochons are richly colored but are too soft for wear. Compact, fibrous material is cabbed because the fibers provide a chatoyancy that sometimes yields weak catseyes. Coloration in the material is due to staining. This is a relatively unexciting mineral, and gems are equally uninspiring. Nevertheless, it has been reported as being cut for collectors. A member of the beryl family, morganite shows a range of pink colors due to traces of manganese. 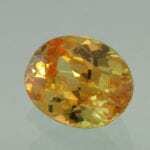 Recently, this gemstone has seen an increase in popularity and value. Like most beryls, morganite makes an excellent jewelry stone. 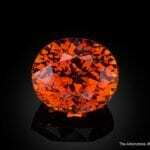 The color of Namibian nambulite is a striking orange-red, very intense, and not really like any other gem I have seen. Cut stones would be both extremely rare and quite magnificent, perhaps bearing some similarities to rhodonite. 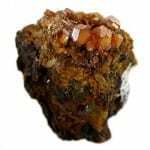 A variety called elaeolite is red, green, brown, or gray, massive or in crystals filled with minute inclusions. 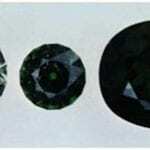 These inclusions produce a sheen that yields a catseye effect in cabochons. 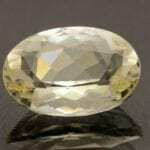 Facetable nepheline is a great rarity, and very few gems have been cut, always in the 1-2 carat range or smaller. 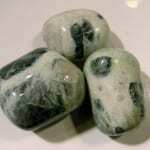 Nephrite is one of the two distinct minerals commonly known as jade. While nephrite doesn’t match the variety or the fine green colors found in jadeite, it’s even more durable as a gem material for jewelry and carved objects. 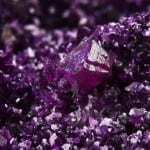 An overview on Neptunite Jewelry and Gemstones. Covers details and essential information on the physical properties and characteristics of Neptunite gems. Niccolite’s delicate peachy red color and metallic luster looks beautiful when polished. 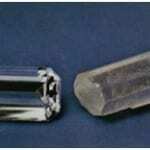 Gem cutters typically carve this gem material into cabochons for jewelry use. Opals are in a class by themselves. As a species, opal is so unique it has its own descriptive vocabulary. More than any other gem, each opal is distinctly individual. 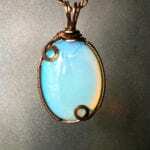 Opals are also the most delicate gemstones commonly worn and require special care. 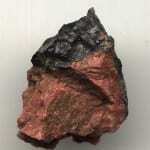 Until 2001, only three painite crystals were known to exist. Since then, additional discoveries have produced many more specimens of this deep red gemstone, but facetable material remains very rare. 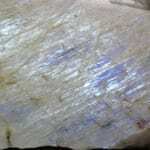 Although marketed as “angel skin opal,” “rock wood,” and “mountain leather,” palygorskite is neither opal, wood, nor leather. 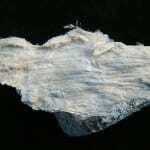 This unusual, parchment-like mineral can be cut into cabochons or carved. 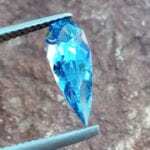 Cerulean blue papagoite crystals are too small for faceting. However, massive material mixed with quartz can be cabbed, while quartz crystals with papagoite inclusions make striking specimens for collectors. Pearls are the only gems found within living creatures, both salt and freshwater mollusks. 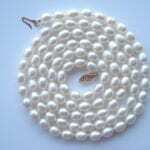 However, most pearls on the market today are cultivated, since they now occur extremely rarely in nature. While they require special care, pearls have an enduring appeal for jewelry, particularly as the traditional June birthstone. Fibrous pectolite has long been a curiosity for gem collectors. 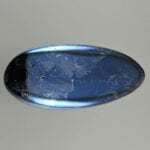 Compact material can make wonderful cabochons, and transparent crystals are rare and usually tiny. Larimar, blue pectolite from the Dominican Republic, has become a popular jewelry stone. Pentlandite resembles other yellowish metallic minerals and is cut by collectors as a curiosity. The cut stones are quite attractive but too soft for hard wear. Periclase has been synthesized in large masses in the laboratory, but these have no market significance. 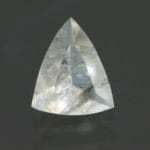 A faceted natural periclase would be a great rarity due to the extreme scarcity of suitable faceting rough. 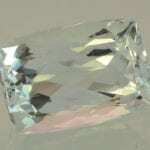 The expected size would be less than 1 carat. Rare phosgenite typically shows pale colors. This material is difficult to cut and too soft for jewelry wear. 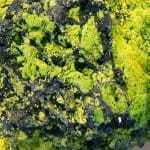 However, its strong yellowish fluorescence appeals to collectors of unusual gemstones. Renowned for its delicate blue-green shades, phosphophyllite’s beauty is enhanced by expert cutting. 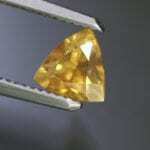 Unfortunately, this gem is quite fragile and difficult to cut, and few large facetable crystals exist. 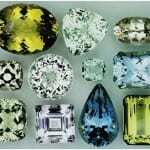 This makes phosphophyllite one of the more desirable — and expensive — collector’s gemstones. An overview on Powellite Jewelry and Gems. Covers details and essential information on the physical properties and characteristics of Powellite gemstones. An overview on Prosopite Jewelry and Gemstones. Covers details and essential information on the physical properties and characteristics of Prosopite gems. A few almandine/pyrope garnets from the US will change with treatment into proteus garnets. In reflected light, they have a dark gray, metallic luster. In transmitted light, the dark red of the garnet shows through. Proustite crystals have magnificent red colors and good brilliance. Although facetable, they’re too soft for jewelry use but highly desired as collector’s gems. 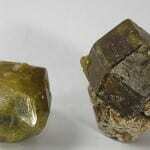 The gem variety of pumpellyite, chlorastrolite, is best known from the Lake Superior district of the United States. 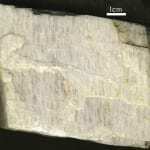 It typically forms aggregates of packed fibers that are mixed with other minerals, resulting in a green and white pattern reminiscent of tortoise shell. The effect is best observed when the fibers are in radial clusters that yield circular markings. This material is never transparent and is too soft for wear. 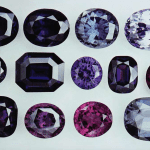 However, cabochons are a magnificent purplish rose hues that have essentially no counterpart in the gem world. The material is available from Namibia in abundance and at low cost. 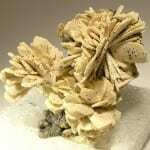 Pyrophyllite resembles talc in many ways and is indistinguishable by eye from soapstone. Chemical tests are needed to distinguish them. 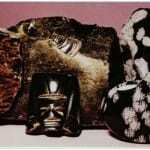 North Carolina material is often used in carvings, as is the material from China known as agalmatolite. Pyroxmangite grains are rare, seldom clean enough to facet, and difficult to cut. However, when cut, they are extremely beautiful and rich in color. 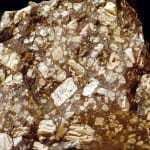 An overview on Pyrrhotite Jewelry and Gemstones. Covers details and essential information on the physical properties and characteristics of Pyrrhotite gems. Quartzite is a rock made up of tightly packed quartz grains. Sometimes, it contains small crystals that reflect light. This material is called aventurine. 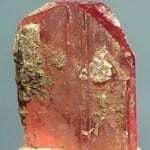 Although this common arsenic sulfide mineral occurs worldwide, cut gem-quality realgar is extremely rare. 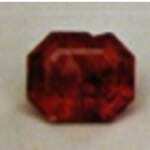 This fine, red stone is very fragile, difficult to cut, and nearly impossible to wear. 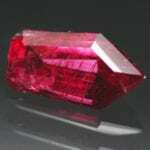 Originally known as bixbite, red beryl is one of the rarest, most desirable, and most expensive gemstones. Most fine crystal specimens are zealously guarded by mineral collectors and are never faceted. Beautiful rose red to pink rhodochrosite crystals are popular with mineral collectors. 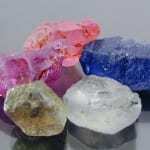 Although very soft, opaque material has been fashioned into beads, cabochons, and carvings, while very rare translucent to transparent material has been cut into faceted gems. 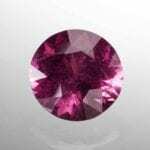 Rhodolite is a garnet, intermediate in composition between almandine and pyrope. Its distinctiveness lies in its color, which is nearly always a purplish red. 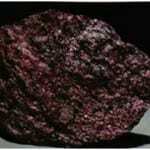 Ranging in color from pink to a fine rose red, rhodonite is a popular material for jewelry and decorative objects. Faceted rhodonite has an intense, beautiful color, but this material has a reputation as one of the most difficult gemstones to cut. 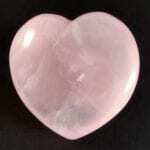 A popular variety of colored quartz, rose quartz makes a durable jewelry stone. 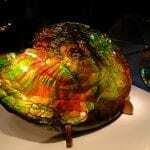 Although commonly cabbed and carved, more transparent material can also be faceted. 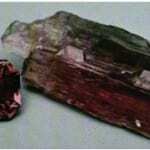 Rubellites are tourmalines with reasonably saturated dark pink to red colors and medium to dark tones. 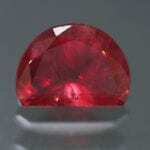 They make excellent jewelry stones, and ruby-red colored specimens without orange or brown overtones are highly prized. Though perhaps best known as inclusions within other gems, rutile crystals themselves can be faceted or cabbed as curiosities for collectors. 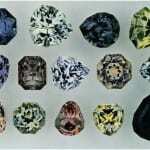 Synthetics can show a variety of colors and have even been used as diamond simulants. Pearls are one of our most ancient gems with records of commercial harvesting going back 2500 years. Their natural occurrence is very rare, with only one in several million shellfish ever producing a pearl. Oysters are the best-known source, but clams, mussels, and abalone also produce pearls. Samarskite is a very heavy material from which lustrous black to brownish cabochons are sometimes cut as curiosities. The material is rather brittle and is not intended for wear. 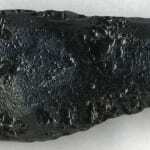 It is rarely seen or displayed since black stones are not terribly attractive. 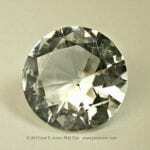 Sometimes a stone is faceted in the nature of jet or marcasite. Few gems have held our attention over millennia as well as sapphire. The pure blue colors and excellent durability of this gem-quality member of the corundum family make for an exceptional gemstone. 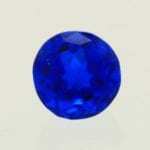 However, not all sapphires are blue. They come in every color of the rainbow. Except red. 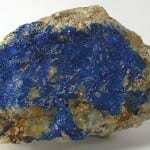 Sapphirines are durable but very rare gemstones. Although named after their typically sapphire-blue color, these gems can occur in different hues and display pleochroism, too. 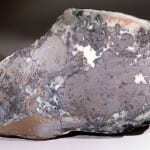 Sarcolite is an extremely rare mineral. Tiny, colorless to “fleshy pink” gems have been cut only from material from one locality: Mount Vesuvius. Although not well known, scapolite would make an attractive gem material for both jewelry enthusiasts and mineral collectors. It comes in a wide variety of colors and can show dramatic fluorescence and phenomenal effects. 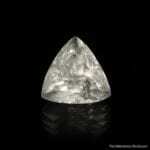 Large, faceted scheelites are among the most beautiful of all collector’s gemstones. They occur in many colors and fluoresce very brightly. If cut properly, scheelites can have tremendous fire. With lovely colors and intense pleochroism, faceted scorodite is a prize for collectors of the rare and unusual. However, it’s too soft for jewelry use. 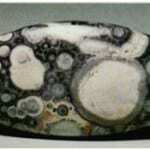 An overview on Sellaite Jewelry and Gemstones. 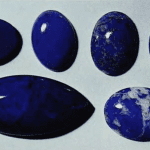 Covers details and essential information on the physical properties and characteristics of Sellaite gems. 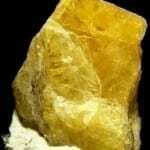 Senarmontite is a rare mineral, restricted in occurrence to the presence of antimony sulfide ores. It is much too soft to wear, and the colors are usually nondescript. 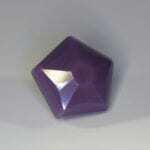 However, a faceted senarmontite in any size would be a great rarity. This essentially is another one locality mineral, where very small gems have been cut from an occasional crystal fragment that is not always even transparent. Shattuckite is often mixed with quartz, and data often reported for properties may be erroneous. 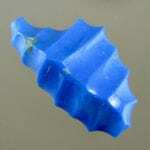 The cabochons are rich blue in color and very popular, but the material is not abundant and seldom seen on the market. Sea shells are one of our most ancient decorations. Our prehistoric ancestors used to string them into necklaces or hang them from cords as pendants. People still use them this way today. Shortite is an exceedingly rare, not overly attractive mineral. 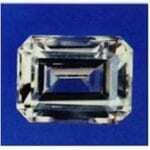 Cut gems are among the rarest of all faceted stones. The material is a carbonate and is therefore fragile and soft. Smaltite is a collectors oddity, cut only as cabochons. 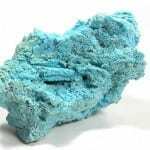 It is seldom seen in collections since it is not especially distinctive, with a color resembling other metallic sulfides and arsenides. Smithsonite occurs across the globe, but facetable crystals are extremely rare. These gems can show a wide range range of rich colors but are too soft for most jewelry use. 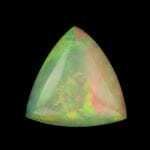 However, high dispersion makes properly faceted smithsonites truly magnificent collector’s pieces. Smoky quartz comes in every shade of brown, from a light tan to nearly black. This gem is known for its large sizes. If you want a really big gem on a very small budget, this could be your stone. Tough, easy to cut or carve, and rich in color, typically blue, sodalite is highly desired by hobbyists. Even stones that lack transparency make lovely faceted gems. 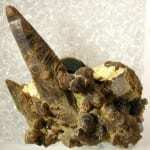 Sogdianite is an extremely rare mineral, suitable for cabochons. The color is striking and the material is hard enough to take a good polish. 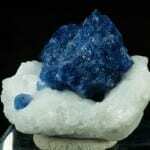 It is usually mixed with other minerals, so the SG and hardness are variable. Chemical analysis may be required to differentiate sogdianite from sugilite, but the latter is far more abundant. 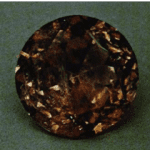 Usually orange to reddish brown, gem-quality spessartite or spessartine garnets are somewhat rare. 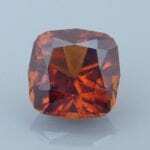 However, as blends with other garnet species, they include popular mandarin and malaya garnets as well as color change gems. Spessartites make very durable jewelry stones. 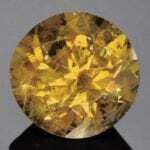 Sphalerite occurs in many colors. With a dispersion over three times that of diamond and an adamantine luster, faceted specimens make beautiful additions to gem collections. However, they’re too soft for most jewelry uses. 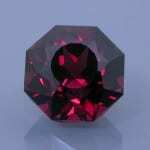 Spinel is an important gem historically because it has been confused with other gemstones, especially ruby. 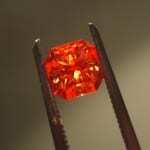 Large red gems such as the Black Princes Ruby and the Timur Ruby in the Crown Jewels of England have proven to be fine large red spinels (ruby spinel). In ancient times this material was known as Balas ruby. This attractive but rather rare mineral has seldom been cut as a gemstone. Polished slabs and rough material appeared in 1986 at a mineral show in substantial quantities, however. This material is Mexican, translucent to opaque, and medium to dark purple in color. Staurolite crystals in opaque cross shapes are popular gemstones. However, this material is very rarely transparent or facetable. 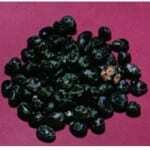 These dark colored gems would make very durable jewelry pieces. 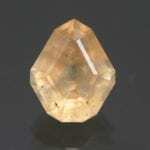 Rare stibiotantalite possesses an interesting mix of physical and optical properties that help distinguish it from other earth-toned gemstones. However, cut pieces over 2-3 carats rank among the rarest collector’s gems. Stichtite is not facetable, but the pink color is quite striking in cabochons. Cut stones are especially beautiful when there are other minerals present to add splashes of green and yellow. This material somewhat resembles a pink, granular material from the USSR referred to as canasite. 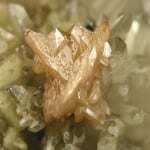 Strontianite is a collector’s oddity, with no spectacular properties to recommend it. Colors are usually pale and there is little fire; in addition, the high birefringence doubles back facets and kills the brilliance of the stone. Cut strontianites are, however, decidedly uncommon and worth pursuing for their scarcity value. What is the color of sugilite? Grape jelly purple is a good description. More popular among consumers in Asia than North America, this is a very rare and beautiful opaque gem material with an unusual appearance. Sunstones contain hematite or goethite inclusions, which reflect light in parallel orientation and create a sparkling sheen in gold to brown color shades. These gems may be oligoclase or labradorite in composition and are much admired as a cabochon material among hobbyists. 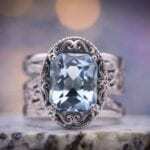 An overview on Talc Jewelry and Gemstones. Covers details and essential information on the physical properties and characteristics of Talc gemstones. Tantalite is too dark to be of use as a faceted gem but is sometimes cut as a collector curiosity, either faceted or in cabochons. These could be of any desired size. 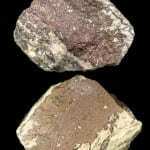 Tephroite is generally reddish brown and barely translucent. However, it takes a good polish and is massive enough to make good cabochons. Only the New Jersey and Australian localities seem to have provided such material, however. Faceted gems are unknown. Thomsonite cabochons take a high polish but are somewhat brittle. These are especially lovely when a pinkish gray eyelike pattern is present, but such material is rare, Lintonite, from Michigan, is translucent and green and is sometimes mistaken for jade. A faceted thomsonite must be considered a great rarity. 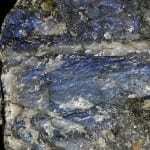 Crocidolite, (blue asbestos,) alters to quartz, but while retaining its fibrous structure. 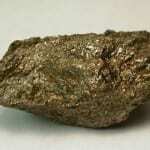 This material is frequently stained by iron, giving it a golden brown color. 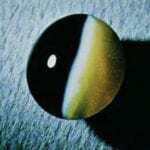 We know this material as tigers eye. Unstained pieces, retaining their original blue color, are called Hawks Eye. There are also pieces with both colors. 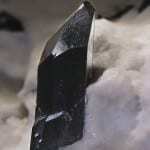 Triphylite is one of the world’s rarest gems. The IGS had the extraordinary privilege of examining a discovery of facetable material from Brazil that showed previously unknown characteristics. 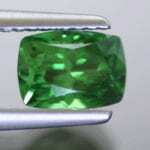 An emerald-green variety of grossular garnet, tsavorite is one of the most popular and expensive varieties of garnet. 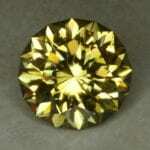 Suitable for any type of jewelry, tsavorites can be faceted into many designs. Gem collectors prize tugtupite for its rich colors and intense reaction to ultraviolet light. 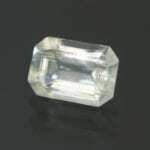 Sporadically used in jewelry, clean, faceted tugtupites are great rarities. With striking sky blue to blue-green colors, turquoise has been prized by cultures all over the world for over 5,000 years. 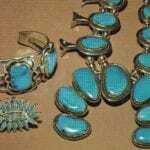 Today, the traditional December birthstone is favored by well-known modern jewelry designers as well as aficionados of American Southwestern and Native American jewelry. Always a dark, rich green color, uvarovite is one of the rarest members of the garnet family. Usually only seen as druzy on matrix, these crystals are seldom faceted. 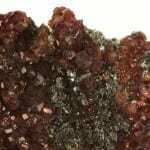 A faceted vanadinite may be considered a tremendous rarity. Fewer than ten such gems may have been cut. This is unfortunate since the color is rich and beautiful. Arizona crystals tend to be very small, but the ones from Morocco reach a size of several inches. Vivianite is so fragile and soft, any faceted gems would be difficult to handle safely, let alone wear. 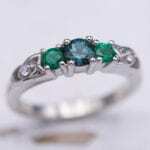 Nevertheless, its blue and green colors are so rich, a few stones (very few) have been cut. 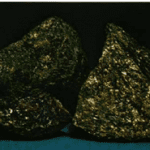 Wardite is another of the many phosphates that have been cut by collectors. It is pale colored and not terribly attractive and is fairly soft and fragile. It is seen far more frequently as cabochons than as faceted stones. 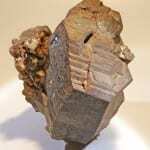 Wavellite is a very attractive mineral, well-known to collectors. Its radial aggregate crystal clusters can be cut into extremely interesting stones. 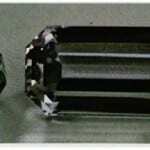 An overview on Weloganite Jewelry and Gemstones. Covers details and essential information on the physical properties and characteristics of Weloganite gems. 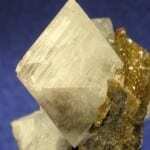 Seldom seen even in mineral collections, whewellite is very rarely faceted. It’s mostly desired as a curiosity because of its scarcity, chemical composition, and unusual — sometimes organic — origins. An overview on Wilkeite Jewelry and Gemstones. 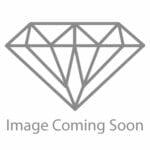 Covers details and essential information on the physical properties and characteristics of Wilkeite gems. Although aesthetically magnificent wulfenite crystals are often too thin, soft, and sensitive to cut for jewelry, rare faceted pieces are greatly prized by collectors. The red of wulfenite, especially from the Red Cloud Mine in Arizona, is one of the richest colors in nature. 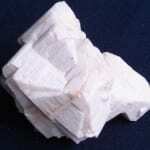 Yugawaralite is a very rare colorless to pinkish zeolite mineral. 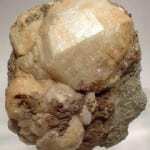 Little facetable material exists, so a cut yugawaralite would be a prized addition to a gem collection. Small, cuttable crystals of very rare zektzerite are found only in a mountainous location in Washington state. Faceted pieces would make prized specimens for any collection of American gems. 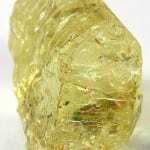 An overview on Zunyite Jewelry and Gemstones. 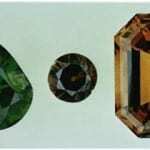 Covers details and essential information on the physical properties and characteristics of Zunyite gemstone.